In a year of disruption, compliance changes and remuneration reviews, brokers have been working ever harder to deliver for their clients, stand out from the crowd and show what brokers are worth. 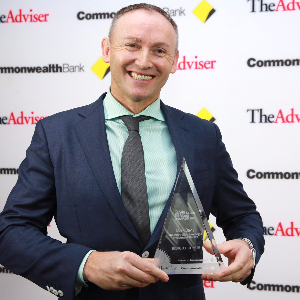 We reveal the best of the best in The Adviser’s Australian Broking Awards 2017. It might have been dreary outside, but the atmosphere inside The Adviser Australian Broking Awards 2017 was one of sheer excitement as hundreds of brokers converged on The Star in Sydney for an afternoon of entertainment, conversation and reflection. And, of course, celebration. With 29 award categories recognising brokers, brokerages and aggregators from all over Australia, the applause didn’t stop all afternoon. Neither did the laughter; comedian Vince Sorrenti (and a few of the award recipients) kept things from becoming too serious. Falling on the eve of the 2018 financial year, recurring rate hikes, digital disruption and regulator movements were hot topics, but a common theme was the essential role of brokers and the importance of providing client-centric service in a climate of change. “My first thoughts as I was walking to the stage were: we work in a fantastic industry,” Glenn Mitchell, head of commercial and leasing at Vow Financial, says. He took home the award for Industry Thought Leader of the Year. 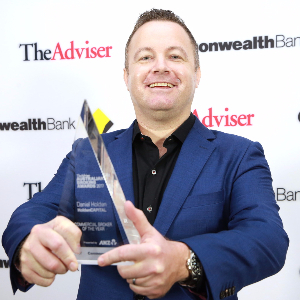 Daniel Holden, the founding partner of HoldenCAPITAL picked up the gong for Commercial Broker of the Year. Winning the award for the third year in a row has a good ring to it, he says. 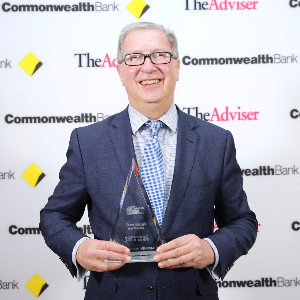 For Mark Davis, Broker of the Year and Residential Broker of the Year, the recognition for him and the Australian Lending and Investment Centre, where he’s director, was the main thing. “You strive to win these things,” he says. The 2017 awards introduced three new categories: Industry Thought Leader of the Year went to Glenn Mitchell, while the awards for Customer Service of the Year (Individual) and Customer Service of the Year (Office) were split into separate categories for regional and metropolitan businesses, a reflection of the diverging landscapes. As names were called and speeches made, attendees enjoyed a sumptuous three course meal, champagne and each others’ company. Later, the Bankwest after-party saw a who’s who of the housing finance industry gather on The Star rooftop to wind down as the sun-set on another financial year. 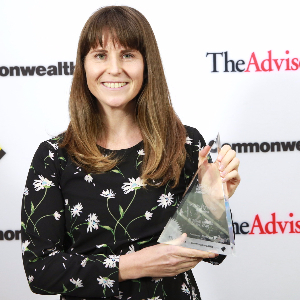 “I got to connect with quite a few people from my aggregator, Choice, lender BDM’s and also fan-girl some people I really admire in the industry,” Kirsty Dunphey, director of Up Loans and Regional Broker of the Year, says. Flick through our wrap-up of the broking industry’s premier awards event for winner profiles, the entire list of the talented award recipients and exclusive shots of the day. What was your reaction to the award? I think it was relief because you strive to win these things. And, like I said on stage, you win the ones that you don't think you're going to win and you don't win the ones that you think you might win, so pretty relieved… Obviously the judges loved our submission, which is nice because we were always preparing to try and grow and improve no matter what market is ahead of us. The investment side [of lending] is coming to a halt, which will give my clients more of an opportunity because a lot of them have been sitting on their hands for the last 12 months… So, what excites us is that that's going to turn around, which will give us more opportunity from our perspective. The other thing is that there's so much change in the industry at the moment and change is opportunity and the amount of change that's going on, each day we're turning up to work and some banks have closed the investment lending, some banks are closed for interest-only loans, so there's opportunity every day. The issue behind that is that we need to be in total contact with our customers to keep them informed. I think any award that you win in our industry, you always take with pride and I was very proud of the actual award that I won. I was awarded for my passion for the industry, so I was very humbled. I suppose it's probably doing outside of what you're currently doing with your day-to-day work. It's looking at other avenues of helping your business colleagues; whether it's competitors or people that you deal with on a day-to-day basis through lending institutions. How important is innovation and innovation of thought? It's really critical to open your mind to all facets, to product diversification, technology and communications, how you do your business. Perhaps 10 years ago it's completely different to what it is today, and it'll be the same in another 10 years. For us it involves constantly looking for new investors and lenders, with the banks retracting quite heavily since November 2015 we've had to get creative with where we find money from and how we structure deals to make it attractive for investors and lenders to participate. If you could give some tips for other brokers? What do you need to do to succeed in commercial broking? I definitely think with the market the way it is, it's a case of not overpromising. The best thing that I think, as a broker and adviser, is to tell them what is achievable and then say, there is a slight chance that we might get slightly better but this is the base case that I’m very confident that I can get approved within a two-week timeframe, so let's work on that base case and if it gets any better than that then that's great. But at least then the developer can go forward with confidence knowing that that is achievable and that they can work around that and if it gets a little bit better, then great. Whereas if you just tell them the best-case scenario from day one and then they rely on that and then it doesn't come through, it's very hard for a developer or a borrower to manage that process. I suppose my point of difference is not caring about the numbers and caring more about my customers rather than the amount of loans or anything like that, I just solely focus on that person as an individual. I think that's my point of difference... If a customer leaves me I'm upset about it, I want to know what I did wrong, so that's how I value my business. How important is keeping the customer at the centre of things? How can that actually help brokers navigate difficult times? I think the way the consumer views their loan is that they don't see what's happening in the background, like with the ASIC requirements. They're nearly blind to what's happening. So it makes it really difficult for them to grasp why their current bank isn't going to help them when they helped them three months ago. So, I suppose it's up to us to educate the client and the consumer on what's actually happening and educate them on the changes in the market according to what their situation is. I like helping people. My family growing up went through very rough times financially and I like working in an industry that helps me equip my clients with knowledge to assist them in building financial security for their families. Who wouldn't enjoy that? What are the particular challenges and opportunities that come with broking in a regional area? Lower loan sizes for one. My average loan size is usually in the $230,000 – $250,000 mark and so to write big volumes you need to be writing large loan numbers – and to do that in a way that doesn't allow your customer service to slip but also allows you time for your own life outside of broking, that's the main challenge I think. What excites you the most about the future? I feel like I'm just getting started and I know that every few months my volumes and efficiency take a big leap forward when I find (or am shown) a new method/skill/or task I can outsource. That's exciting for me. I'm an efficiency nerd and happy to say it and I know that I've got a long way still to come. I also get excited now that I've been doing this a couple of years to be helping people with their third or fourth transaction or be working with multiple generations of the same family – or in one case, all five siblings in one family. Those little moments all add extra excitement. Congratulations to the 2017 winners and finalists. 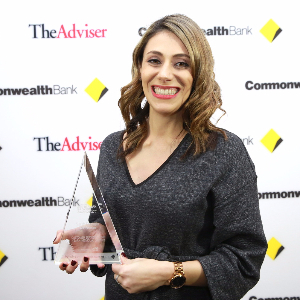 As principal partner, CommBank would like to congratulate the 2017 Australian Broking Awards winners and finalists. Our vision at CommBank is to secure and enhance the financial wellbeing of people, businesses and communities. Together with our mortgage broking partners, we share a commitment to helping our customers achieve their path to property ownership. Thank you for your passion and dedication. The full list of Australian Broking Award winners can be found on the ABA website.